With the end of Auction 101, which focused on issuing remaining licenses 28 GHz band, final provisional winning bid (PWB) figures and statistics are now available via the FCC. The overall average bid price was $0.0113 / MHz POP, with bids being placed on licenses issued on a per county basis. The makeup of the licenses was primarily characterized by “lower tier” markets that consist of fewer people, with approx. 80% of the counties being considered to be Rural and 20% Urban. In total, licenses covering approximately 23% of the U.S. population were auctioned. Bids varied widely, with the highest rate being $0.344 / MHz POP in Daggett County, UT (POPS ~1k) and the lowest being $0.0001919 / MHz POP in Murray County, OK (POPs ~13.5k). Can the 28 GHz Auction Results Inform a 24 GHz Auction Prediction? Given the 28 GHz Auction results, can we effectively predict the 24 GHz Auction? The first step to making an educated guess, in my view, is to first see what a full 28 GHz Auction might have looked like. The biggest variable between the two proceedings is that the 28 GHz Auction was on a county-based licensing regime, while the 24 GHz Auction will follow a Partial Economic Area (PEA) licensing regime instead. The 24 GHz proceedings, unlike the 28 GHz Auction, will be wide open for bidding in all 7 blocks across the entire US. The only exception is that Skyriver Spectrum holds three full PEAs in the Reno, Las Vegas, and Phoenix markets, and one partial PEA (spectrally) in the Albuquerque market – these frequencies will not be auctioned. These results are very interesting, as the pricing differences between the Minor Metro category and Semi-Rural category appears to go against past auction history and intuition. Spectrum in the mmWave bands can carry large amounts of data at high speeds, but requires line of site to be functional. One would think that rural markets would command lower values, whereas more urban markets would command higher values. I primarily attribute this difference to the fact that county sized licenses likely allowed for smaller operators to bid up prices, especially in Semi-Rural markets and Minor Metro centers. In turn, the sample size of a mere seven PEAs isn’t enough to derive a strong analysis of markets with 1M POPs and up. Given these conditions, it is quite difficult to predict exactly what a full 28 GHz auction might have looked like. PEA licensing should translate into fewer rounds of bidding and less competition from smaller bidding entities in more rural markets, which will in turn lower prices in rural areas. Larger markets may be fairly unpredictable – since on the one hand T-Mobile does not yet have a majority position in any mmWave band, like Verizon (or even a significant position, such as AT&T in 39 GHz). Turnout from Verizon and AT&T will be unpredictable, seeing as both, as mentioned, do already have significant portfolios. Less spectrum and fewer MHz POPs are being auctioned should depress total $ figures (700 MHz in the 24 GHz band plan, vs. 850 MHz in the 28 GHz band plan). 24 GHz spectrum propagates better and should in turn command higher values (on average I will use a 10% estimate). 24 GHz licenses will be 100 MHz, whereas licenses in the 28 GHz band are 425 MHz. Generally, the availability to get more capacity commands higher values. This aspect is hard to predict for the 24 GHz auction – on the one hand, values will be depressed – seeing as 100 MHz is worth less than 425 MHz in a single license. However, there could be considerable upward pressure on prices from competition to obtain multiple licenses and form contiguous blocks of spectrum. I will not be factoring this into my analysis due to the difficulty in quantifying the potential impact, but did want to make a note of it. In total, a $7.16B total auction price is predicted. It will be interesting to compare this analysis to the actual results, and see how far (or how close) this estimation ultimately comes. The FCC considers a rural county to have an average population density <100 POPs / sq. mile, while an urban county having an average population density of >100 POPs / sq. mile. 2017 POP figures were utilized in this step, resulting in variation from the POPs used by the FCC in the Auction 101 proceedings. 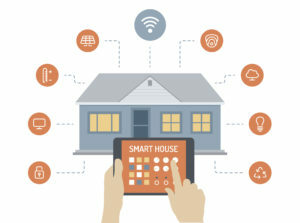 Smart watches, smart phones, smart homes – everything seems to be getting smarter. Just like these devices, cities and utilities are becoming more efficient too through Smart City and Smart Grid initiatives. 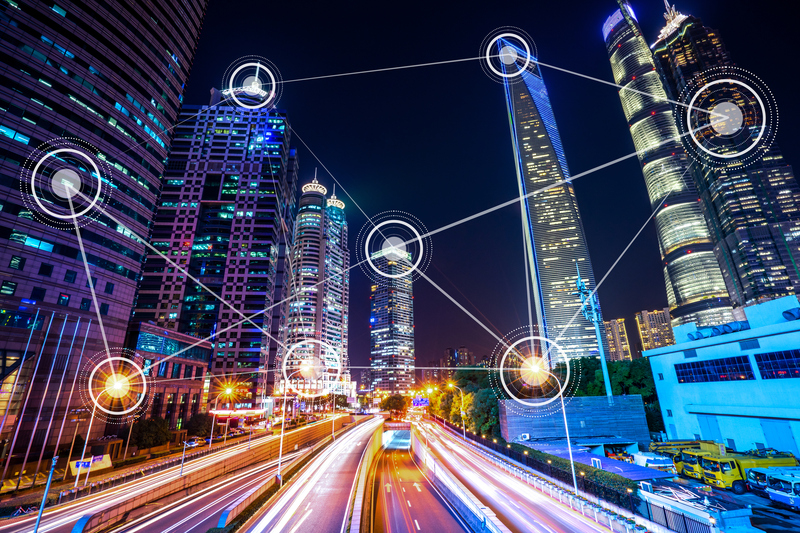 As companies add sensors to a growing assortment of devices on their networks (street lamps, sensors, switches, meters), it becomes increasingly important to select optimal network solutions that can grow as the user’s needs grow. These devices use wireless spectrum to communicate; however, there are many different ways to send wireless data. What are the options? WIFI? It’s cheap, but it’s short range and prone to security and reliability problems. Cellular? Possible – if there is coverage. However it’s expensive as monthly bills add up. Also, the city doesn’t have any authority over this network. If the network goes down, they have to wait for someone else to fix it. What about the Upper 700 MHz A Block? At only 2 MHz total capacity, can it even work? For low-power wide-area networks (LPWAN) devices, yes – and it’s being proven now. Select Spectrum and Puloli are deploying an initial system with a partner utility. By building their own networks, cities and utilities can pick their own devices, guarantee coverage (which can increase battery life), and can know instantly if their network goes down. 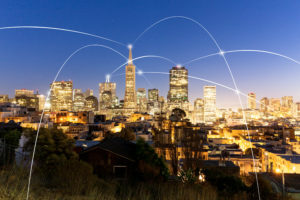 While such a system might seem like a hefty investment, LTE Narrowband IoT (LTE NB-IoT) leverages the worldwide cellular ecosystem to offer very low-cost remote modules and operational benefits. 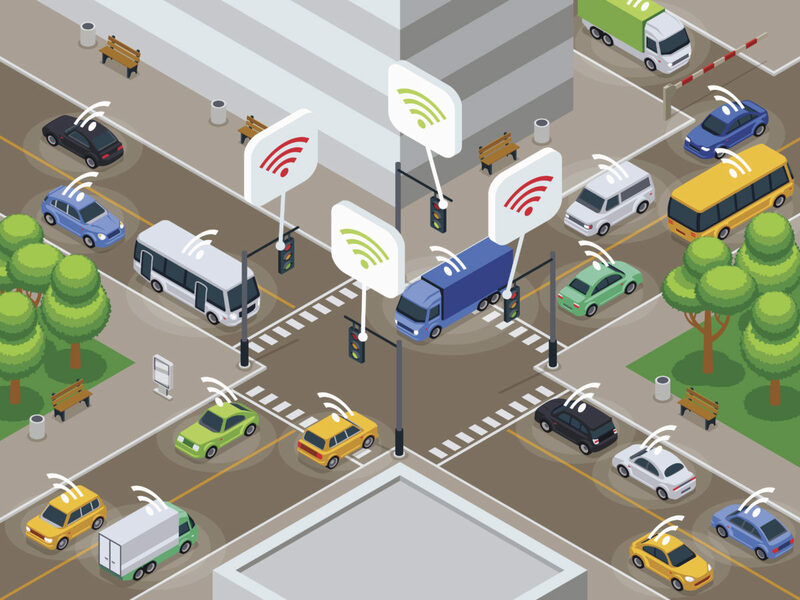 These benefits may fully justify the deployment expense and allow utilities and smart cities to benefit from the worldwide investment in LTE NB-IoT standard. As the FCC’s spectrum auction of 5GULF licenses in the 28 GHz band enters Stage 2, the first Auction for microwave frequencies situated above 24 GHz, now designated for 5G services, is expected to wind to a close. Bidding could drag longer, should a handful of markets continue to receive bids from auction participants. However, the trend will be towards fewer bids being placed, and the marginal value increases between bidding rounds diminishing. 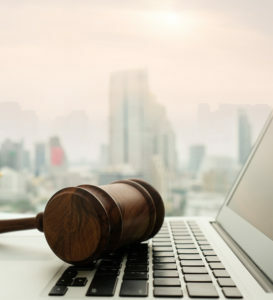 While the Stage 2 rules did result in a short boost to bidding values, the rules also will help to expedite the process of Auction 101 reaching the market clearing price for each license available from the FCC. As Figure 1 shows, there has been, an expected, general downward trend in the % increase in the total dollars of the Provisional Winning Bids. Surges in bidding occurred directly following the FCC issued break for the observance of the Thanksgiving Holiday (between rounds 13 – 14) and the announcement of the Stage 2 rules (following round 38). The Stage 2 announcement also corresponded with a 1-day suspension in bidding for in observance of the National Day of Mourning for President George H.W. Bush. As of Round 46, 1,522 unique market areas, covering approximately 73.5 million POPS, have received bids. The latest average $ / MHz POP rate, as shown in Figure 2, is $0.01039 / MHz POP, signals an approaching end to the Auction, should we use the “typical” FCC auction that includes eligible bidding on markets of all sizes, nationwide, as a comparison. Select Spectrum’s analysis is that this average price is squarely within the zone of expectations for a typical Auction End average price range. This conclusion can be reached by working backwards using the Select Spectrum estimated Verizon / StraightPath transaction LMDS price of $0.0276 / MHz POP, (as outlined in our prior blog post), as a measuring stick for what the average price of what a typical FCC auction might have produced in the band. Auction 101, by in large, contains no markets above 1M POPs for purchase, (the largest being Honolulu at 953,207 POPs). These markets for the most part would be considered by most to be “lower tiered”. Lower tiered markets, generally, only go for a fraction, (around 20 – 50%, varying by market size), of the average $ / MHz POP of a typical FCC auction. The current average price of the Auction is at 38% of the StraightPath value, falling neatly within what might be expected. Markets in the 1-2M POPs range, on the other hand, are generally quite close to the average price of a typical FCC auction. The Honolulu market, then, is the closest use of this metric that we have within Auction 101 to use as insight as to what a typical auction might have produced. Since Round 21, the Honolulu Block holding a bid of $0.0253 / MHz POP ($10,272,000), has received no new bids – as such the price can be considered as “final”, for now. When compared against the Straight Path average $ / MHz POP price, the Honolulu bid finds itself as approximately 92% of that value. This is remarkably close to nearly 1:1 ratio of markets of this size with the typical average auction price. Given that expectations were low for the Auction, and that prices seem to be in line with what we might consider “average”, the 28 GHz Auction certainly seems to be performing “above expectations”. Select Spectrum plans to provide a full analysis upon the close of Auction 101, along with predictions for Auction 102. Market area sizes for Auction 101 are licensed on an individual county basis. Verizon’s acquisition of Straight Path was completed in a semi-competitive environment (having outbid AT&T). FCC Market sizes at Auction vary. The 28 GHz auction is based upon County sized tracts, whereas many other auctions are based upon Economic Area or Partial Economic Area tracts, made up of multiple counties. 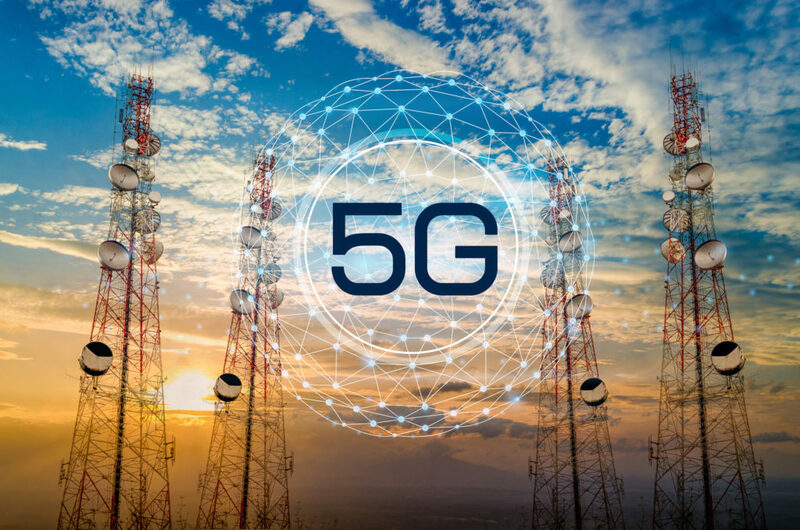 The Federal Communications Commission, (“FCC”), in a push to allocate additional spectrum for 5G fixed and mobile applications, has begun the auction of 5G ready spectrum in the 28 GHz band, FCC Auction 101. The spectrum up for Auction sits between 27.50 – 28.35 GHz in what was previously known as the A1 channel, which was a part of the LMDS A Block; the LMDS A Block A1 channel, along with channels A2, A3, B1, and B2 at 29/31 GHz, were auctioned by the FCC in Auction 17 (1998) and Auction 23 (1999). In April 2018, in response to the increasing demand for additional microwave spectrum, primarily aimed at fixed/mobile 5G applications that require significant amounts of bandwidth to support superior speeds of > 1.0 Gbps with lower latencies, the FCC disaggregated the A1 channel and reassigned it to be a part of the new Upper Microwave Flexible Use License, (“UMFUS”), designation. The disaggregated portion has been converted to a new county-based licensing regime, offering two 425 MHz sized blocks (Blocks L1, L2). As of the 5th round of bidding, provisionally winning bids have been submitted for acquisition of 54.48 billion MHz POPs of spectrum – mostly situated in lower tier and rural markets containing less than 1 million POPs (the average county/market size up for Auction contains approximately 60,411 POPs). For context, in the first round there was $36.4 million in total provisionally winning bids ($0.0007 / MHz POP), and in 4 additional rounds the total bids have increased approximately 70.9% to $62.2 million ($0.0011 / MHz POP). Verizon’s acquisition of Straight Path, which included nearly 33 billion LMDS MHz POPs, was concluded at an estimated $0.0276 / MHz POP, provided spectrum in the A1 channel for large markets such as San Francisco, Orlando, and Salt Lake City. The Auction is expected to last for many additional rounds but given the nature of the markets that are available for bidding, the Auction likely will not last as long as the recent 600 MHz auction that went for 58 total bidding rounds. Generally, value expectations for the 28 GHz auction are far lower than the 24 GHz band, which will likely be a bidding war between AT&T, whose current portfolio of 5G UMFUS Licensed Frequencies, (“5GULF”), consists of 39 GHz spectrum obtained from FiberTower, and T-Mobile, which has a limited portfolio of LMDS A Block spectrum centered over Ohio and a handful of 39 GHz licenses that were obtained from MetroPCS. 5GULF frequencies will be issued via FCC auction through the remainder of 2018 and into 2019 via an area-based licensing regime of varying sizes and bandwidths, across a number of bands at or above 24 GHz – including the 24, 28, 37, 39, and 47 GHz bands. Select Spectrum will continue to provide periodic updates and coverage of Auction developments as they arise. The LMDS A Block (the A1, A2, and A3 channels collectively) previously went for auction for $0.0026 / MHz POP in Auctions 17/23; (Inflation and POP growth adjusted, non-adjusted rate was $0.0022 / MHz POP). The total transaction also included over 147 billion MHz POPs in the 39 GHz band, with the total transaction totaling $3.1 billion for an average MHz POP rate of $0.0172 / MHz POP, using 2017 U.S. Census POP estimates. T-Mobile’s acquisition of Ohio Spectrum Holdings LLC’s spectrum was Consummated on 7/27/2018 by the FCC, the A1 licenses have been assigned to T-Mobile, but the A2/A3 licenses have not yet been fully assigned. Two-Way radios are very useful for reliable communications in Manufacturing, Government/Public Safety, Construction, Utility, Oil and Gas, and many other industries. The devices are low-latency, dependable and can have great battery life. However, in the age where everyone has a cell phone, what are the benefits in having dedicated radio communication systems? Two-Way Radios are location based and can transmit voice or sensor data over the air. The distance a signal can travel is determined by the frequency, the terrain and the number of repeaters in the area. The signal doesn’t need expensive towers to form a connection and are highly reliable. Many different frequency options are available for two-way applications: 150 MHz, 220 MHz, 450 MHz, Upper 700 MHz A Block, or 800/900 MHz channels. With all else being equal, lower frequencies (such as 150 MHz) propagate better than higher frequencies such as 900 MHz. However, there are many factors to consider when selecting which band is best suited for your purposes: FCC regulations, spectrum & equipment costs, market availability, site-based vs. area-based licensing, and more. Two-Way radios also have the ability to broadcast selectively, from one person to another person, or broadly, from one person to many. Likewise, sensor signals can be sent on a point-to-point or point-to-multipoint basis. 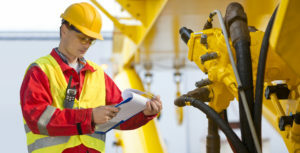 Most importantly, with two-way radios, if your cellular service goes down, you can still have a functional workforce. This is especially critical during emergency situations, when 99.999% reliability is key to allow communication. Cellular phones, through a traditional carrier, are important to the workforce as well. The primary benefit is that the phone has a nationwide reach. 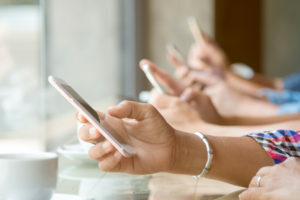 In addition, a smart phone can have features such as a data plan, can connect to local WiFi and can host larger bandwidth tools such as apps, video and web access. However, cellular phones data plans ultimately are dependent on another company’s network. If there is poor signal in the area, or if there are too many people using the network, the call can fail. By having two separate but direct tools, companies can save money, time and keep working no matter the work conditions. With its own customized network, a company can feel safe when conditions go down and the radio network keeps everything running smoothly. With two-way radios and a traditional network, whatever the use-case the situation will be fully covered. Do you feel like your technology options aren’t working for you? It might be because you don’t have enough spectrum to power your network. Sensors are gathering more information from each device and an increased number of different devices. Each sensor needs to transmit its data. How much data can your current network send and receive? Drones can be attached to a cellular network, a private licensed network, a public unlicensed network , or a personal WiFi network. Cities are getting smarter and using more devices. From intelligent traffic lights to utility meters collecting more information, the grid is becoming larger and more data driven. Select Spectrum President, Robert Finch, demonstrates 220 MHz capacity for surveillance quality video while at the 2018 DistribuTECH conference. Are ISPs able to Obtain 2.5 GHz Licenses in Currently Unlicensed Areas Soon? Select Spectrum has initiated a lobbying effort in Congress and at the FCC to allow for schools and colleges to apply for 2.5 GHz EBS licenses in areas that are not yet fully licensed. The idea is for the schools to in turn lease the exclusive rights to use the licenses at moderate prices to commercial operators including your company. The result can be faster, lower cost and better fixed wireless services for your company to deliver to its customers, and the ability to show a differentiating asset to investors. On Monday, October 16th Bob Finch from Select Spectrum, Julia Morelli from George Mason University Instructional Foundation, Inc., Sam Rock from Gulf Coast Broadband and Todd Smith from Total Spectrum met with Congressional Staff Members to discuss the issue of EBS “not yet licensed space”. Overall the feedback was positive, and we are hopeful the extra push from Congress will make the Consensus Proposal a priority with the FCC. What you can do to help! Donate money to continue the lobbying effort. Select Spectrum has already made the commitment to the lobbyist for the first three months, but we would like to spread the cost among the likely beneficiaries and are fully aware that this issue will take longer than three months. We will need financial contributions from other companies to continue the lobbying effort. None of the donations will go to Select Spectrum. In fact, Select Spectrum intends to treat the donations to the lobbying effort as an investment and refund all monies participants put into the lobbying effort by offering 50% credits towards future commissions from our 2.5 GHz Spectrum Lease Auctions, for all Auctions that take place after supporters sign up and continue to support the effort. Encourage schools in your areas that do not have licenses to write to the FCC to encourage the FCC to approve the Consensus Proposal or something similar. A sample template letter is available. Click here for the steps to file the letter with the FCC. Use local political contacts to help expedite the process of encouraging the FCC to issue new EBS licenses. Consider meeting with Congress Members, their Staff and/or the FCC to advocate for the Consensus Proposal and most importantly for a prompt decision. These meetings may either be in the district offices of House Members and Senators. We need the assistance of commercial operators and educational institutions to help make this a priority for the FCC. Author SelectSpectrumPosted on October 26, 2017 August 8, 2018 Leave a comment on Are ISPs able to Obtain 2.5 GHz Licenses in Currently Unlicensed Areas Soon? At the UTC Region 1 and 2 meeting Robert Finch, President of Select Spectrum demonstrated how the Upper 700 MHz A Block Band can be used for video. An unseen force is revolutionizing rail travel and safety. The rail industry is making strides to enhance service for the next century with the implementation of Positive Train Control for improved safety, spacing, and speed on American railways. PTC systems monitor and control the motion of trains, providing remote and automatic intervention in hazardous situations. Serious progress has been made in the development of these systems in compliance to a congressional mandate that all Class 1 freight and passenger railroads have fully-functional PTC systems by December 31st, 2018. Specialized radio systems allow PTC to function above & beyond the capabilities of existing signal-based trackside control. 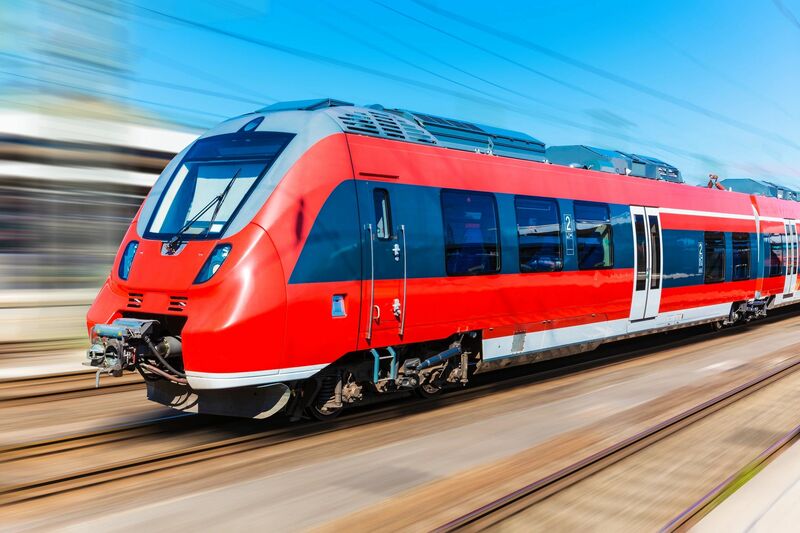 By not depending on physical cables and connections, a wireless network greatly simplifies the design and implementation of a system that must cover thousands of locomotives and tens of thousands of track miles. Further, a wireless network allows all trains on shared railways to connect to the same system for centralized control & management. PTC systems close the human gap between a signal being read and an action being perform, enabling automatic failsafes to prevent accidents caused by human error. Cisco & Lilee Systems have partnered to create hardware and software that enhance PTC systems to include real-time analysis through base-to-train & train-to-train communications that opens the door to further advancements in interoperability and smart asset tracking. This technology is still new, but some railways have already implemented PTC systems and realized the benefits. The first passenger rail to fully construct and operate a PTC system was Southern California’s Metrolink in 2016. Amtrak & GE have implemented a system between South Bend, IN & Dearborn, MI that allows passenger trains to travel at speeds of up to 110 mph. Overall, significant progress has been made with fully-deployed positive train control on nearly 40% of route miles. Union Pacific, BNSF, and the five other U.S. class 1 freight railways have formed PTC-220, LLC, a consortium to coordinate PTC standards, centralize system architecture, and coordinate deployment across all freight railways. While PTC-220 has succeeded in creating a common equipment standard with Meteorcomm, rollout of PTC systems for member railroads has faced a myriad of complications that come with deploying a network across over 60,000 miles of track and 18,000 locomotives. As PTC system deployment continues, new challenges arise, including interoperability & frequency planning. Select Spectrum is uniquely able to offer 220 MHz spectrum nearly nationwide, in a variety of bands that are compatible with several equipment manufacturers, including the Meteorcomm & GE systems that have been used by America’s Class 1 freight and passenger operators. As technology improves and train control systems evolve to provide increased operating efficiencies, increased demands for wireless data throughput and greater spectrum needs will arise. On behalf of multiple FCC licensees, Select Spectrum is prepared to meet the demand for increased spectrum resources. Spectrum provides the backbone of the many unwired innovations that define the future of technological advancement, by freeing the flow of data from the reigns of cables and physical terminals. America’s railways are poised to move into the next century faster, safer and more efficiently than ever thanks to PTC systems and further innovations that have yet to be envisioned. For more information, visit http://selectspectrum.com/Selector.html or contact us by email at info@selectspectrum.com.